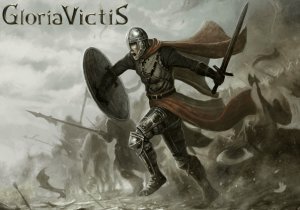 The latest update of Gloria Victis adds a huge new feature, in Ranked PVP duels. It should promote a player’s dedication to his nation and see who can fell the most foes. A new Glory season has also begun. That other ranking, which rewards players for their actions in open PVP has also received an update. More has also been done to promote open world PVP between the three factions and across six locations, as more areas have been turned into open PVP locations thanks to reducing the non-looting zones. Those are a buffer between the rare safe zones and the open PVP areas. Though non-looting zones have been reduced, three new locations have also been added, with each faction having its own fort where players can travel to for support of their nation. Defending these outposts or upgrading their fortifications can be done without risk of being looted in their first hours of gameplay. There was also an update to the PVP Tournament area. The layout of a ruined fort located in the Valley of Death has been improved to reach a better balance in 3-nations battles, which are taking place there. The update also added new tactical elements, like spots for archers and covered places where warriors can fully engage into brutal close-combat fights. Warriors’ lifespans now also have some ways to be extended, with bandaging wounds and the first of the herbal/alchemic consumables which can help fully utilize a body’s possibilities (but may have serious downsides). These will also be craftable by players and come with various meals in the Cooking update.